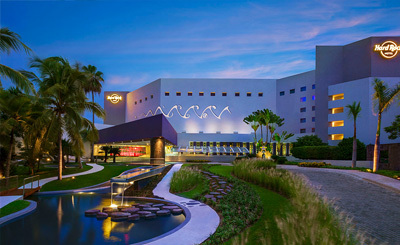 One of the most striking elements of the Hard Rock Hotel Vallarta (formerly the Palace Resort Vallarta) is its soaring lobby, with two huge installations made with LP covers and instruments. However, the rest of the resort is no less attractive, with two free-form pools, a spa featuring ocean views. 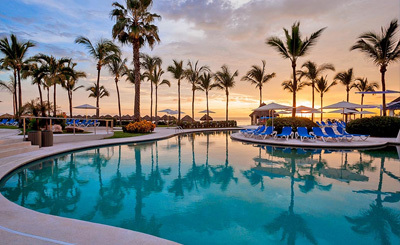 The hopping bars, nightly entertainment and contemporary rooms with high-tech amenities, funky rock-inspired decor, and double-jetted tubs attract young couples and groups, while the lively pools (including a shallow one for kids), varied dining options, and pretty beach draw families. There’s free Wi-Fi, purified water on tap, and a wide array of amenities, but rooms are a tad smaller than those found in other resorts in the area. Get a taste of the rock star lifestyle, or at least eat like one. Put your senses center stage when exploring world cuisines made with fresh, exotic ingredients, bold flavors and artful presentations. 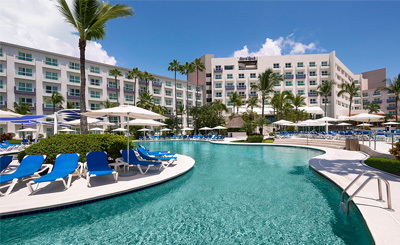 Hard Rock Hotel Vallarta offers six distinctive restaurants with international cuisines, including Italian, Asian, Mexican and Brazilian. Frida : Discover the fiery flavors, spices and passions of Mexico at Frida, serving traditional Mexican cuisine in a festive atmosphere. 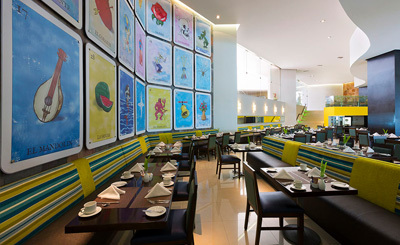 Zen : Enjoy mouthwatering Asian cuisine, including Izakaya, teppanyaki and sushi from the extensive a la carte menu. Ciao : Savor exquisite Italian cuisine in the sultry and romantic ambiance of Ciao. Indulge in the vivacious foods of Italy & the Mediterranean with subtle textures & bold flavors that infuse passion. 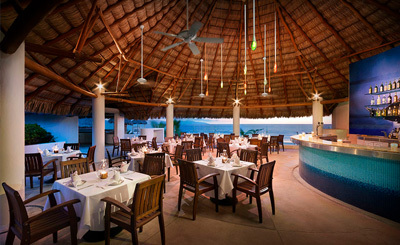 Pizzeto : Pizzeto offers artisanal brick oven-style pizza as well as other snacks by the pool. Consider this room your all-access pass to club awesome. So kick things off in style and never look back with one king bed or two double beds. One king bed. Hard Rock is more than a vacation - it's a lifestyle. And to prove it, Packed these legendary digs with non-stop extras and no-limit luxury. 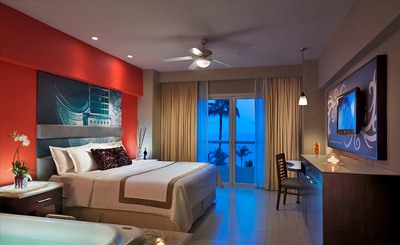 All rooms are located on the top 4 floors with ocean views. They really set the stage with this one. So kick things off in style and never look back with one king bed or two double beds. Indulge your inner rocker and live large. Each suite hosts one king bed or two double beds with 300 thread-count sheets, a sleeper sofa, and living area to keep even the most tenacious rockers living the life. One bedroom with a king bed with a second connecting bedroom with two double beds. 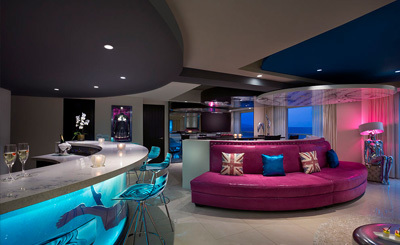 This suite also includes dining room and living room areas with an indoor bar. 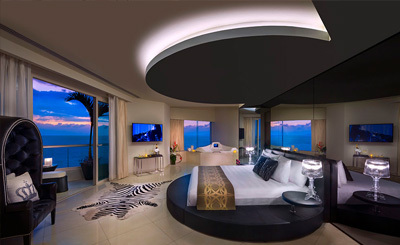 Rock On with your own dedicated concierge and don't forget the iconic memorabilia featuring Shakira and Madonna. 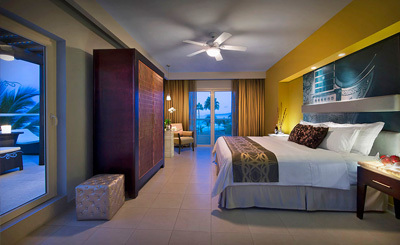 All of your Rock Royalty Level Amenities are already included in this room category so you can Rock On - your highness.